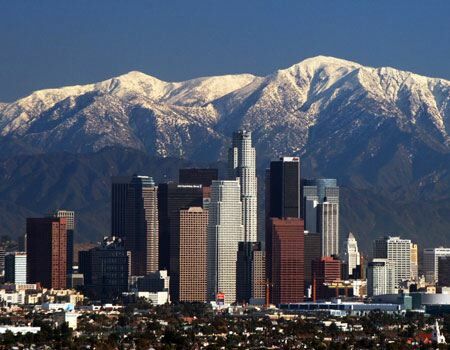 Los Angeles, CA is home to millions but walked upon by none. This statement almost feels true. Los Angeles is a city that is as diverse in its culture as it is by its people. Sam Lubell asserts in his editorial piece for The Architects Newspaper ‘Anything NY Can Do, LA Can Do Too‘, that there is a lack of ambitious design in Los Angeles. The article mentions that New York has ‘an elite new collection of parks, buildings, and master plans, including the High Line, Brooklyn Bridge Park, dedicated bike lanes, and iconic buildings by most of the world’s most celebrated architects’. Spaces that Los Angeles is semi lacking. Truth be told, Los Angeles does have its fair share of iconic places. Perhaps the most obvious are The Hollywood Sign, Mann’s Chinese Theater, the Hollywood Walk of Fame and the Los Angeles City Hall Building. There is also Griffith Park, Echo Park, Los Angeles Historic Park and Olvera St. just to add a few more places to the list. The point is that Los Angeles does have places in between but not to a grand scale place such as New York’s Central Park. The point being is that, the public open spaces that Los Angeles does have are not well known to out of state tourists or persons moving into CA. If we were to survey Los Angeles and New York city based on movie locations, the city of New York has more iconic places seen by movie goers throughout the world than Los Angeles. Movies tend to only show the Hollywood sign or Los Angeles City Hall and tend to stop there. Unless of course you are an Angeleno, then you may recognize the various set locations that are depicted for films taking in place in Los Angeles. New York on the other, again strictly looking at movies, shows Central Park, New York Times Square, Brooklyn Bridge, Ellis Island along with the Statue of Liberty and the MET just to name a few. Plus, New York is always getting destroyed by both extra-terrestrial and terrestrial catastrophes. So in essence, yes, Sam Lubell was correct in his editorial piece… partially. Los Angeles does have its iconic places. How well they are known to the rest of the world is the question that perhaps needs to be answered if we are to ever emulate or surpass New York’s urban design principles. But what architectural/urban/planning designs can be done? Being a student of Landscape Architecture at Cal Poly Pomona, the design possibilities are endless. Currently, as a third year undergrad, we are studying the Los Angeles Aqueducts and its vast water infrastructure. A design principle taught to landscape undergrads at CalPoly Pomona is that people are attracted to water. Both successful public and private ‘community’ places tend to have a water feature as part of its design. Los Angeles is afforded that ability. Los Angeles has many rivers that can serve as community spaces for walking, cycling, running and jogging. There are numerous spaces available along its pathways that can connect to parks or be designed as parklets. Sam Lubell was semi correct in his assertion that architects need to design said places. I beg to differ; it is the Landscape Architect that is best suited for outdoor design. It is what we do. Effective comparison between the urban design of New York City to Los Angeles. It is also worth mentioning not only the urban cultural differences, but the cultural divide between transportation systems such as public (bus and subway) to private (individual automobiles).